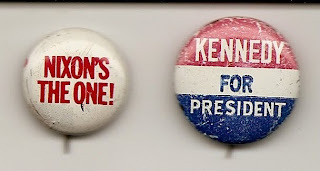 When I was a kid people wore campaign lapel buttons which carried the names of the candidates of their choice. This led to some lively political discussions, maybe some harsh words were thrown around, but basically everyone went about their own business and voted without fear of alienation. Lately, things have changed. The 24/7 news media has turned most folks into political hacks, willing to crash friendships, and even family ties, over issues in which they never will have a direct say to begin with. We all seem to be shilling for the positions of the politicians, sometimes at the expense of civilized discourse. Wouldn’t it be nice to shut off the noise? 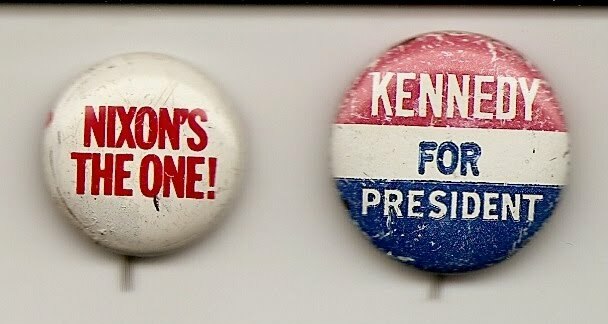 It’s still not too late for this election, so let’s try. When you are asked who you’re voting for, say “it’s none of your business.” Or, to be more kind, you can say, “I’m sorry, but in this country we have the secret ballot.” The reactions you get, and the people who object to this the most, will surprise you. They will rage, they will rail against you. Because these types of people, both Left and Right, will never admit that they may be wrong about anything. They cannot countenance a civil discourse on an issue, without the guarantee that their point of view will prevail. I have lost several friends of long standing recently, due, not to any untimely demise, but to political differences. What a shame it is, that the Powers That Be, can turn us, one against the other, while they continue to carve up the spoils. And what a shame it is, that we do nothing to turn that tide back. We don’t have to agree. We just have to Vote our individual consciences. And if your side loses, then you have only to accept, for a short period of time, that it may be someone else’s turn. The beauty of the system under which we live is that we get to do it again and again, ideally with everyone getting a turn at the helm. It’s called a Republic, which is a form of Democracy based on the Greater Good, rather than one’s individual desires. So, as we ramp up to Election Day, remember this, we are only unified by our divisions. Our right to differ is the trait that unites us. Now go quietly forth and Vote.